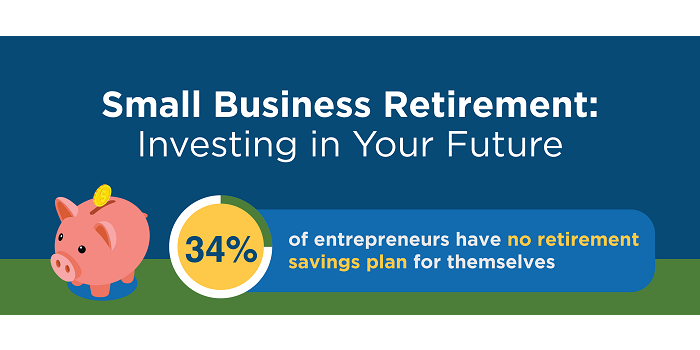 Did you know that 34% of entrepreneurs have no retirement savings plan for themselves? And many do not provide retirement benefits to their employees. Our latest infographic examines the benefits of retirement plans for small business owners and their employees. 40% of owners are not confident they’ll be able to retire before age 65. But retirement plans support employee recruitment and retention and cost employers only 2.4% of an employee’s compensation. Work with a SCORE mentor to determine the best retirement options for you and your business.